It is my aim to make this the most comprehensive and accurate English language guide to “文語/Bungo/Literary Language”, “古文/Kobun/Classical Language”, and its direct influences on spoken and “modern” Japanese, including dialects old and new. Some of my assertions about word structures or origins is disputed, but where discrepancies occur I will do my best to refer to conflicting opinions about a certain topic. I will use, for the most part, real examples written hundreds of years ago, but I cannot guarantee an exhaustive list. If you have a specific question, please contact me at my email and I will do my best to answer, as well as make additions to the guide if it can clarify a certain point. This guide is sourced by my own experience, Oubunsha’s “10th Edition National Language Dictionary” and its “4th Edition Fully Explained Classical Language Dictionary”, Haruo Shirane’s “Classical Japanese – A Grammar”, weblio.jp and kotobank.jp’s many dictionary sources, and finally gejirin.com’s ancient language and etymological dictionaries. I highly recommend Oubunsha’s dictionaries, and part of this guide will address looking up words on weblio (easily accessible by smartphone). This guide assumes a basic understanding of Japanese, as it will explain many classical grammar structures in terms of modern Japanese. However, it starts from the ground up eventually explaining very advanced Japanese grammatical structures, including those used in the highest level of the Japanese Language Proficiency Test. What is “Classical Japanese” and Why Should I Study It? Classical Japanese is an umbrella term referring to the Japanese language as it existed in written form spanning from the Nara period (710-794) to the Edo period (1603-1868). (Pre-Nara Japanese is sometimes refered to as Ancient Japanese, but while the subject will be lightly touched on, it is not the focus of this guide.) While the Edo period usually marks the ending point of Classical Japanese, language that follows the rules of Classical Japanese is still utilized in written form long afterwards, used either for poetic or official effect, so the line is blurred. In fact, many classical grammatical structures are used in modern Japanese, just in slightly altered or restricted forms. At least a basic understanding of classical Japanese is essential for an advanced understanding of modern Japanese. Classical Japanese, apart from being used in official documents and aspects of it tested in the Japanese Language Proficiency Test (JLPT), grammar based heavily on Classical Japanese will appear in light novels, manga, and even anime. Most dialects can be explained by a combination of sound changes and varying usage of Classical Japanese. Lyrics and poetry often tend to use classical or mock classical language. Japanese high school students all study the classics as part of their basic education, and that includes Classical Japanese. Most irregular grammatical behavior in modern Japanese can be explained by specific rules in classical Japanese, so on a practical level, it can help you remember and better utilize modern Japanese as well. Superficially, it will impress your professors, and eventually you can ask questions they cannot readily answer. First make sure you have a basic understanding of Japanese, and make sure you know the Syllabary, Spelling Differences, and be prepared to encounter some Kanji Differences. Many languages, like English or French aren’t spelled the way they are pronounced, or pronounced the way they are spelled. This often happens when the pronunciation of sounds changes but the spelling stays the same over time. However, because these changes usually take place in a mostly uniform fashion, there are always certain rules you can follow to correctly pronounce letter combinations. Japanese used to be just like other languages with this “problem”, but the government mandated a spelling revision to help with literacy and made things (for the most part) spelled how they were pronounced. For instance, the word 今日 was written けふ, but by the time of the spelling revision, it was already pronounced きょう. Rarely (sometimes in songs) words like 今日 are pronounced as they are written けふ=”kefu”, but for the most part classical Japanese is read with the following sound changes that match them up with modern pronunciations most words. All わ-line kana except わ drop their ‘w’. Many of the differences are directly related to the radicals within the kanji, so after a while it gets a lot, lot easier to guess, but before you get the hang of it, I recommend using dictionary tools on a computer to first find the character, and then copy and paste it into weblio.jp or a similar site that will give you detailed kanji information. If you suspect what modern kanji it matches, you can look up the modern kanji’s kun-reading and it will usually bring up the older kanji as well. If you have internet access, kobun.weblio.jp [link] should be the first place you go to look up a word. If you do not know the classical spelling for a certain word (or kanji), you can try looking up the modern word on weblio.jp [link] – all words that have different classical spellings have them listed after the modern spellings at the entry’s header. When a word appears in the regular dictionary but not in the classical dictionary, it is usually safe to assume the meaning hasn’t changed. The regular dictionary should still list the classical form of the word as well as how it conjugates. Remember that conjugable words are indexed by their 終止形. You may know many of these, but it helps to know the strict definitions. Defined as an uninflected word that can be a subject. Defined as an uninflected word that modifies inflected words and cannot be a subject. Defined as an uninflected word that modifies uninflected words and cannot be a subject. Defined as an uninflected word that modifies nothing, connects phrases together and cannot be a subject. Defined as an uninflected word that modifies nothing, connects nothing, and cannot be a subject. Defined as an inflected word that cannot stand on its own. Defined as an uninflected word that cannot stand on its own. 形容動詞 is often shortened into 形動詞, and essentially a noun paired with the verb forms なり or たり. Adnominals are words that can only modify nouns, unlike adjectives which can also modify verbs and other adjectives, depending on their form. * There is a single adjective, おほし (多し・大し), that may use the あり form in cases where it is usually restricted (終止形、已然形). In ancient (pre-Heian) times 多し was used, but during the Heian period, 多し (終止形) was used almost exclusively in kanbun, while 多かり (終止形) was used in other texts (including the Tale of Genji). 大し had split off by the Heian period into 大きなり (volume rather than number), so this mostly applies to 多し alone. In any case it can be thought of as strengthening the meaning of “there are many” rather than being simply descriptive. ** the け／しけ 未然形 of adjectives is ancient and almost exclusively used with the ク語法. く／しく is often noted as being a 未然形 form of adjectives as well, but this is used exclusively with the particle ば, like the combination “ずは/ずば” is really only a sound change from “くは” to “くば”, utilizing the 連用形. It is possible to interpret く／しく by itself as a nominalization by itself (you may treat it as く nominalization or 連用形 nominalization), similar how to the nominalization of the auxiliary verb き can be しく or けく (which would make this seemingly “special くは・ずは” case more normalized). Now I’m sure that was overwhelming, but feel free to check the tables as often as you want until these forms stick! Here is a more in depth explanation of each word and conjugation form. A verb that uses 4 of the 5 vowels in its conjugation (-a,-i,-u,-e). 四段’s modern equivalent is the 五段 verb. In fact they’re exactly the same, except that 四段’s 未然形 + う results in an -a+う which becomes -o+う due to sound changes, psuedo-giving 未然形 an extra vowel, thus completing 5/5 vowels. Most modern 五段 tables also have a secondary 連用形 conjugation because of the sound changes that take place when attaching the auxiliary verbs て and た. ・四段 verbs that end in (く(ぐ)・つ・ふ(ぶ)・む・る) are most commonly intransitive verbs. ・四段 verbs that end in (す) are most commonly transitive verbs. ・四段 verbs that end in (す) may be formed from a verb’s 未然形+す (honorific auxiliary), but not always. These are often subject to sound changes, and end in -oす(if from 四段) or -eす(if from 上一段) frequently. ・四段 verbs that end in either *aす or *aる may also be formed from a verb that ends in *u, usually changing the original verb from transitive to intransitive or vice-versa. This *aす construction, like the honorific auxiliary す is also subject to sound change, and may end in -eす. ・四段 verbs that end in らぐ or やぐ or ろぐ come from nouns or adjective stems, where the suffix is related to the verb ゆく, and results in the verbification of said noun or adjective. ・四段 verbs that end in めく come from nouns, adjective stems or sound words, where the suffix is related to the verb 向く. 見す・召す(めす) is an example of a not so obvious word formed by 未然形＋す (みす→めす 音便). 温む(下二段)→温まる(四段) is an example of a transitive verb changed to an intransitive る-四段 verb. 明く(下二段)→明かす(四段) is an example of an intransitive verb changed to a transitive す-四段 verb. ふ and む are more often associated with coming together. つ is often associated with coming together or coming apart (rising, falling, releasing). く is often associated with movement and/or coming together. る may also be associated with coming together, see 入る(いる) and 煎る(いる). At the very least it’s something to think about. A verb that uses 1 of the 5 vowels in its conjugation (-i). All verbs in modern Japanese that end in -iる and aren’t 五段 verbs, are now considered 上一段. There is no difference in the conjugation of these verbs, but most modern 上一段 verbs were originally 上二段 verbs. Here is the full list of 上一段 verbs. There are only twelve. If you include compounds there are about six more. 率ゐる(ひきゐる), 用ゐる(もちいる), 帰り見る・顧みる(かへりみる), 後ろ見る(うしろみる), 試みる(こころみる). A small side note: いる verbs are technically ヤ行上一段, meaning they are や row verbs. A verb that uses 2 of the 5 vowels in its conjugation (-i,-u). The easiest way to spot a modern verb that was once a 上二段 is that if the -iる part is written in okurigana, it was most likely a 上二段 (起きる, was originally 起く). Exceptions are those compounds I listed in the previous section, like 試みる. However there are so few 上一段 verbs I doubt you’ll run into problems mixing them up. The thing with 二段 verbs is that you have to remember that 終止形、連体形、and 已然形 use -u and not -i on the stem. Another thing to remember is that as a general rule 連体形 ends in a る for most conjugations (not 四段, except of course for the ら-row, where -u=る), but 終止形 only ends in -u (or -i for ラ変). A verb that uses 1 of the 5 vowels in its conjugation (-e). Actually there is only one of these words in existence, and it is 蹴る(ける). When it was modernized, it became a 五段 verb. It’s rather easy to remember, because it is the exact same as a 上一段 verb, except that it uses -e instead of -i. A verb that uses 2 of the 5 vowels in its conjugation (-e,-u). The easiest way to spot a modern verb that was once a 下二段 is that if the -eる part is written in okurigana, it was most likely a 下二段 (受ける, was originally 受く). One thing that is important to note that while there are some 下二段 verbs that end in う (only 得(う) and 植う(うう) come to mind), most modern える verbs come from や-row 下二段 verbs. Something to look out for is 植う which is a わ-row 下二段 verb. In other words its “e” sound is ゑ, not え, and of course you have to keep in mind that modern verbs like 答える come from 答ふ, so the “e” sound is へ, not え. ・A number of intransitive 下二段 verbs have an す-四段 equivalent that is transitive. (Usually an *aす verb). 下二段 verbs that end in ゆ are almost all formed by a root plus the spontaneous auxiliary verb ゆ. However, sound change is common (聞く→聞かゆ→聞こゆ). Therefore while we might guess the root 消(く) is a 上二段 verb, it is actually a 下二段 verb, where the 消ゆ(けゆ) sound changed to 消ゆ(きゆ). If we just add the honorific す to 消(く) we would get a 四段 verb that fits 消す’s conjugation, but the meaning wouldn’t be the same. But what about that *aす pattern? That would give us 消(か)す. Now, you won’t find that word in the dictionary, but if you search hard enough you can actually find some records of a 消(か)す that fits what we’re looking for. You can then leave the rest to a vowel change. (I might also remind you that another similarly pronounced verb 化(か)す also changed to 化(け)す for a while). 消(け)つ is another variant. A verb that is like a 四段 verb, except that its 終止形 ends in り, not る. All of these verbs come from the single verb あり, but due to contractions and sound changes may end differently. As such they all have similar core meanings. In modern Japanese, they are 五段 verbs. A verb that is like a 下二段 verb, except that its 連用形 ends in し, not せ. There is only one of these verbs: す(る), and it hasn’t changed hardly at all in modern times, other than to make its 終止形 equal to its 連体形. Just remember that here the 終止形 is す, not する. In modern Japanese 命令形 is more often しろ instead of せよ, though せよ is still used in written grammar structures. A verb that is like a 四段 verb, except that its 連体形 and 已然形 are like a 下二段 verb. There are only two of these verbs: 死(し)ぬ and 往/去(い)ぬ, and they both have similar meanings. A verb that is like a サ変 verb, except that the vowel sounds of its 未然形 and 命令形 are -o instead of -e.
There is only one of these verbs: く(る), and it hasn’t changed hardly at all in modern times, other than to make its 終止形 equal to its 連体形. Just remember that here the 終止形 is く, not くる. Together with しく形容, く形容 are known as pure adjectives. The main things to keep in mind are the 終止形 (し) and the 連体形 (き). Otherwise, they are the same as modern adjectives. The 未然形 form is rare, and only used with く(nominalizer), but it doesn’t hurt to remember that it is け. All く形容 have an accompaning あり form, which uses the 連用形+あり, contracted to form a かり ending. One important thing to note is that this あり form is never used for 終止形 (with the one exception of 多かり). One important usage of this あり form is to negate adjectives, as なし (or ない) wasn’t prevalently used with adjectives until more recently. Instead, ～からず was the norm. In modern times ない is used as the negative form of ある, so ～からず to くない was a logical shift. Many of these adjectives were formed from nouns, simply adding し to the end (赤→赤し). Others were formed from primordial verbs (熱つ→あつし), and others were formed by attaching to the nominalization of those verbs (危(あや)ぶ→危(あや)う→危(あや)うし). The し that forms く形容 is derived from the verb 如く(しく), the same verb the recollective past auxiliary verb is derived from, which is why you see similarities in their conjugation. く形容 may be nominalized by using けく and in other cases, just く. く形容 are more commonly subjective, whereas しく形容 are more commonly emotional. Together with く形容, しく形容 are known as pure adjectives. In modern Japanese, these adjectives lose their distinction from く形容 and become -i adjectives. The main difference between the two is their 終止形. Instead of しし (if it were a く形容), it becomes just し. If you encounter one of these in its 終止形 and are unsure, just try to remember the modern version. If it ends in しい, it is a しく形容. Many of these adjectives were formed from primordial verbs (うつく→美(う)つくし), from nominalization of those verbs (たぬ→たの→楽(た)のし), and also from repeated compounds (すがすがし) though their たり forms were more common. The し that forms しく形容 is derived from the verb 如く(しく), the same verb the recollective past auxiliary verb is derived from, which is why you see similarities in their conjugation. く形容 may be nominalized by using しけく and in other cases just しく. しく形容 are more commonly emotional, whereas く形容 are more commonly subjective. All of the conjugated forms are contractions of にある, so it’s relatively simple to remember. These words often end in らか or やか, where the か comes from the nominalization of the verb 如く(しく), しか. The ら and やs are related to あり. Everything except と and たる are stripped away in mod. Japanese. All of the conjugated forms are contractions of とある, so it’s relatively simple to remember. These words are not very common, and mostly come from imported Chinese compounds. “The Not Yet Finished Form” in layman’s terms. + forms are mainly used in pre-Heian Japanese. ＊＊く attaches to 四段, ラ変, and adjectives. Also attaches to き’s 連体形(し). ＊＊in a number of rare cases し is used instead of く. ＊＊＊未然形 was used in ancient Japanese often as a nominalization method, and is associated with adjectivization. This form is used to relate multiple events to each other in time. It covers recollective past, perfective, and present. ＊り is severely contracted, so it appears to come after the 命令形 form. The Japanese government categorizes it as a split 已然形(for 四段)+未然形(for サ変) auxiliary verb. ＊＊Only for adjectives and ず. ＊＊＊The 連用形 can be used instead of the 連体形 to attach a conjugated word to a noun. The result acts as a compound word and has a more definitive meaning. An “AB” rather than a “B that is A”. Its use is limited and is mostly the basis of compound words/places such as 迷ヒ家/迷子. In contrast to 終止形 compounding, the noun often becomes voiced, and generally only is used with single verbs rather than longer phrases. ＊＊＊＊Adjectives in their 連用形 may serve as nouns in some cases (related to く nominalization), as well as verbs though this is limited.. This form is used to predicate a sentence, the “Final Form” if you will. It also is used to outline ‘statements’. ＊Attaches to 二段(inc.つ,ぬ,ゆ,しむ),カ変,サ変,ナ変. However, らく may also attach to 四段 verbs, in where it is the 連用形＋り（未然形）＋く, often with a sound change. Additionally rather than 終止形, らく for 二段 verbs has been explained as the 連体形 plus く with a to [あ] sound change, and enables a grouping together with 上一段 verbs. An extremely small number of cases of るし (連体形+し) have also been noted. ＊＊The 終止形 can be used instead of the 連体形 to attach a conjugated word or phrase to a noun. The result acts as a compound word and has a more definitive meaning. An “AB” rather than a “B that is A”. Its use is limited but I have also seen examples in modern Japanese. It is relatively commonly employed with single adjectives, but occasionally forms from phrases (ex. with ず < arguably 連用形 compounding). This form modifies objects, nouns, and is generally descriptive. Many constructions (but not all) that normally attach to the 終止形 attach to ラ変’s 連体形. ＊Technically/Originally attaches to 連体形 because of its か, but in practice always -ends- phrases (not necessarily sentences), and often after other particles. It is also commonly seen after the 命令形 during and after the Medieval period. It occasionally comes after other forms such as the 終止形 but is very rarely used with 已然形 even if こそ is being used as a bound particle. The “Already Happened/Completed” Form in layman’s terms. It’s a “secure” form, and has a strong emphasis/weight to it. こそ and や may attach to the 已然形 in pre-Heian Japanese. This leads to constructions such as ～めやも. ＊See above in 連体形 section. Not exactly a conjugation form, this is the part of the word that doesn’t change, and does not even form part of the ‘-‘ from the table. Words like 蹴る(ける) do not have any. Useful terminology for adjectives and so forth. ながら, for instance, attaches to adjective’s word stems in one of its forms. First a reference table. Auxiliary Verbs in parentheses are not listed here, but in each individual section. If there is a ＊ next to the attaching form, then there are special notes concerning it, where are again found in each individual section. Listed above are the negative auxiliary verb ず and its あり form ざり (ず＋あり). ず is in fact a bit special, and its 連用形 shares a few of its conjugation properties with adjectives (it may use して as well as て, as well as the hypothetical は). ず itself is a sound change of the older version ぬ(四段)’s 連用形 に plus す (終止形) which is abbreviated as ず. The auxiliary verb じ is another form thought to come from ず・にす／にし, and paired with と is equivalent to ～ずに. It is used in the word しかじ(==如かず) which eventually became the modern しかし. *ずば is just a sound change from ずは, though it is used similarly to ば as a hypothetical “if”. While ざらば and ずば may be used almost interchangeably, there is a small nuance. (You may also argue the particle ば derives from this kind of は.) In short, the ず here acts as く does with adjectives. *ずに is relatively rare, and is more of a modern thing. What exactly the に is is disputed, but I would assume it is like the に of 形動詞, in other words なり’s 連用形. This is similar to ないで whose で is disputed, but most likely comes from だ’s で (in otherwords the ない is a nominalization). In short, the ず here acts as く does in the nominalization なくに. *なく is a noun formed from な (未然形) and the nominalizer く. It is often seen as in the construction なくに. Depending on context, the に may be the conjunctive particle に (more like なのに…) or なり’s に (more like だなぁ). The exact origins of this に are also somewhat disputed. It is both similar and dissimilar to the modern ないで (but without the implied ください form), which likely derived from なくに. **Just so we don’t leave anything out (though I’m sure you’ll never encounter it) there is a なな form, used in a certain eastern dialect in ancient Japan that also uses the 未然形 な whose meaning is similar to ずて/ずに). It is for this reason that it is often best to try to look up something when it looks weird before you confuse yourself too much – jump on the shoulders of experts’ research. Also, the most often used constructions are the ones that are most prone to irregularities. Both き and けり recollective past auxiliary verbs and けり can be thought of as the あり form of き. They both attach to the 連用形 of conjugatable words, barring a few exceptions that will be covered below. The modern phrase けりをつける comes from the auxiliary verb けり, and “せし” is not terribly uncommon, even in modern Japanese, depending on tone. き and けり are probably derived from 如(し)く. 如く split into several forms, including the し used to make adjectives adjectives (赤→赤し), and various other し、き、け、げ、か、く(nominalizer) forms… たぬき is said to form from a verb 垂(た)ぬ and き. けり is relatively understandable: しく＋あり developed into しかり（然り) but also けり (然り) which originally had the same meaning – けり (shorter) ended up being used as an auxiliary to mean likeness, certainty and poetic exclamation. Eventually it also came to mean what experts call “recollective past” as in “that certainly did happen”. There are other opinions that suggest けり is derived seperately, and comes from 来有り(きあり), though as けり originally had less to do with the recollective past and more to do with likeness/certainty, I ascribe to the former interpretation. There is in fact a verb 来(け)り that comes from く+あり, but its meaning is different (equivalent to modern きたる). き is a little more complex, and whether けり or き came first is probably up in the air. し itself was used as a short auxiliary version of しく and attached in the same way as it does now, again to mean a likeness or association. しか, a nominalization of 如く developed shortened forms: か、き、け which covers both 終止形 (き) and the oldest form of 未然形 (け) (ex. 根白の白ただむき纏(ま)かずけばこそ). The 未然形 し is rare and only used for adding the nominalizer く, which again makes しく and thus may arguably just be しく. (The けく form is used as well, similarly to its use with adjectives, though しく is more commonly used for nominalization). 未然形-せ is not used with 来/為. There are several distinctions between き and けり. One is that the あり aspect of けり implies a continuation, as in “it happened but is still in its complete state”. However, by the Heian period (notably by the completion of the 竹取物語), this distinction was less important than the “recollective” aspect. き was used when someone personally experienced events, and けり was used when one experienced them only through hearsay. (Compare this distinction to たい vs たがる.) にけり can be used to stress the “completion” factor over the personal vs. hearsay comparison, with an added “unvolitional” element that may result in a ～てしまった meaning. にけり will be covered in more detail in another section. The “recollective element” of き and けり makes sense given its origins, and this is why some argue that Japanese has no simple “past” form. けらし is an adjective form of けり, and behaves like らし, but in regard to recollective past. It is perhaps simpler to think of it as けり＋らし, as らし can be thought of a contraction of あらし, an adjective form of ある. Above you see the perfective tense (which also serve as progressives) auxiliary verbs ぬ and つ, along with あり contractions り and たり（つ’s 連用形 て+あり）. All of these attach to the 連用形. However, while ぬ can be attached to all conjugatable words, つ can only attach to verbs and pure adjectives, たり can only attach to verbs, and り can only attach to 四段 and サ変 verbs, which furthermore is contracted such that it appears to connect to their 命令形. While this can be confusing, at least ぬ and つ are regular 下二段 verbs, and り and たり are regular ラ変 verbs. ぬ is in short, the “natural perfective”, and つ the “volitional perfective”. Both are used to signify completion, and imply a sense of certainty. This certainty principle when used in conjunction with む is similar to the difference in “it will be done” rather than “I will do it”. As a general rule ぬ is used with intransitive verbs, and つ with transitive verbs, though there is some overlap for verbs such as あり and なり. ぬ is always used for passive auxiliary verbs, and つ always for causative auxiliary verbs and す. Both ぬ and つ can be used like modern たり, ～ぬ～ぬ and ～つ～つ which describes a state of something doing multiple actions at the same time, sometimes indecisively. This usage first appears in the medieval period. This natural/volitional nuance between ぬ and つ extends to the particles に and と, and how they are used with なり, あり and す. The difference between にする and とする still exists in modern Japanese, but which is used is more defined by set structures. たり and り are resultative/continuative/perfectives. In short, they describe verbs in a state. The resultative function is identical to modern ～てある which is where たり came from in the first place. However both also cover a continuative function identical to modern ～ている. The difference is nuanced in modern Japanese, but not here, it just depends on context. たり and り also can be used as perfectives, たり in this sense most often used with ば for “when this happened” and, “if this happened”. Due to the fact that たり is more usable than り which has restrictions, たり quickly became used more often than り. Like ～ぬ～ぬ and ～つ～つ, ～たり～たり was also used, and that pattern survives modern Japanese. Modern auxiliary verbs/constructs た (past tense)、たら (perfective “if”, simply the 已然形 of modern た)、たり (simultaneous action)、ている (progressive state)、てある (resultative state) all come from たり (itself て+あり), and て comes from つ. However, don’t confuse the usages of these modern forms with the classical ones. For example たら requires the particle ば in classical Japanese, and there are several other polite verbs such as をる, ます or まいらす used in addition to the ゐる (いる) used in the modern progressive state. Above you see the passive auxiliary (ら)る, the causative auxiliary (さ)す, and honorific causative しむ all of which are regular 下二段 verbs and attach to the 未然形. For the most part, these verbs are exact replicas of their modern counterparts: (ら)れる, (さ)せる, and しめる (rare, if you haven’t heard of it I’m not surprised), like られる, らる can be used as an honorific, but さす can be honorific as well if paired with another honorific verb. しむ is more stiff and formal than さす. As a reminder, (ら)る (like ゆ) can be used to denote spontaneity and potentiality, in addition to its passive usage – just as the modern version does. Another thing to note is that there are situations where (さ)す was substituted in place of (ら)る’s passive form mainly because those in power/samurai did not want the passive verb to be an indicator of weakness. Its usage is exactly the same. While あり得 is a common potential form あり, あらる is another. できる existed as 出来 (でく) but it was not necessarily used for potentiality. ＊らむ like らし attaches to the 終止形 for all verbs except ラ変, where it in name attaches to the 連体形 with the る dropped. It also attaches to the 連体形 of adjectives/verbal-adjectives. ＊＊While むとせば is common, the contracted form むぜば is not, so むず does not have a properly listed 未然形. ＊＊＊む and its derivatives have a 未然形 「ま」 used only for く nominalization, but it is exceedingly rare. Above you see the volitional/speculative む and its derivatives (むず, けむ, らむ), the negative volitional じ and the hopeless volitional/speculative まし. All of the volitional/speculatives attach to the 未然形, but けむ and らむ attach to the 連用形 and 終止形 respectively, being contractions of けり＋む and らし＋む. All of these forms are irregular but have a relatively simple usage. All of them have an identical 終止形 and 連体形, with the 連体形 and 已然形 used only for bound particles (か, こそ, etc) and the 未然形 only for ば (in the case of まし). む is often shortened to ん. む is volitional/speculative as well as suggestive, and is the precursor to う in modern Japanese (ex.やりましょう). むとす・んとす, and its contractions むず・んず usages are -identical- to modern ～うとする. You can find yourself tripping up if you think of む as -exactly- the same thing as う, because it works quite a bit differently (modern う is the weirder of the two to be honest), but the are at heart, the same. Examining what 言わんとせず, 言わん(と)ばかりに and 溢れんばかりに mean (very common in modern Japanese), while keeping in mind that む is the archaic version of う, should give you a pretty good idea of how む works, even in isolation. あらんことを、including ならんことを and たらんことを are other common usages of む, but much rarer in modern Japanese. あらんことを is often implied with certain particles (more on that later). 救世主たらんことを切に願います is famous (?) phrase used in Eden of the East. One thing to note is that む can be used to attach to nouns, in which it has meaning similar to AのであろうB and is often used to refer to hypothetical people – people that may not actually exist. む persists in modern Japanese in phrases such as 言わんばかり. Finally, む and its derivatives (けむ・らむ) when used with や in their 已然形 always form what is called a 反語 which means the speaker means the opposite of what they say. Think of it semi-sarcastically like, “As if I would ever do something like that.” Or, how the same thing works with “するか！？” but without as much exasperation. けむ is mostly likely a conjugation of き and む, using one of its vestigial 未然形 forms, け, and is a past volitional/speculative. It is identical to ～たろう, ～ただろう or ～たでしょう. らむ can be thought of as a contraction of (あ)り+む and speculates about the present, similar to らし, which it and めり mostly replace until らし resurfaced closer to modern times. It is for the most part identical to ～ているだろう or ～てあるだろう. じ is a negative volitional/speculative derived from ず, and we have all used it before in the one word in modern Japanese that seems to retain it: しかし (formerly 如かじ(しかじ)). It is best to think of this verb as the negative form of む, therefore it is mostly equivalent to ～ないだろう, ～ないでしょう. Like む, it can be used with とす. However, eventually (post-Heian) this higher meaning was lost and it was used similarly to む. The origins of まし are strange, but I think that the simplest way to explain it is む+き(し form/如く derivative), which makes since when you think of its most common and original form “if only this had happened”. It also carries over the oddball せ 未然形 form. Addressing that, まし’s 未然形 was originally always ませ, but by the Heian period, ましか was used more often than ませ. I attribute this to the start of the sort of merger between 未然形 and 已然形 ば, but ましか is regularly counted as まし’s 未然形. There are other suggestions as to まし’s origins, such as some adjectivication, or relating to the verb 合す(ます), but as they all boil down to a connection with む and uncertainty, I believe the argument’s a bit moot. As the し portion of き／し and まし have the same conjugation I think the above interpretation is the most useful. ＊Both attach to the 終止形 of verbs, except for ラ変 verbs, where they attach to the 連体形. ＊＊＊While the あり form of adjectives is almost never used in the 連体形, In まじ’s case, まじかるめり (あり form 連体形+めり) has been observed. べし is a volitional suggestive assumptive, and is more or less exactly the same as its modern counterpart べき (連体形 only/nominalized in a 終止形 like fashion). べし assumes something to be true or appropriate, and may express volition on part of the speaker, certainty that something will happen, or in the second person, it may be suggestive, or a roundabout way of giving a command. べし is said to derive from the adverb うべ (often paired with the particle し), which in turn derives from うふ（下二）, the same roots from which 上 is derived. At any rate, the べ of べし and うべ probably derive from the same source (an 合ふ derivative). べし in more primordial cases did not only attach to the 終止形, but also the 連用形 (at least for 下二 in which case it really could be the 未然形). まじ is a negative volitional suggestive assumptive, and is more or less the negative version of べし. まじ assumes something to be false or inappropriate, and may express volition on part of the speaker to -not- do something, certainty that something will -not- happen, or in the second person, it may be an admonition. ましじ was used for the most part attached to 敢（あ）ふ, 得（う）, 堪(た)ふ, 克(か)つ, or ゆ(aux), all of which are 下二段 verbs that express some level of potentiality – 克つ being the most commonly used. ありかつましじ translates roughly into 生きてはいられない (ある was originally used where いる is used now for living things). In otherwords, it was used more of a general (and potential related) assumptive, before matching up in meaning with べし as its negative form. Being of the so-called “emotionally charged” adjective variety, ましじ tends to form phrases such as “I could never live without you” or “I could never forget about you” and -possibly- has to do with an adjectivication of まし, but ましじ’s origins are as a whole, unclear. Now the difference between suggestive assumptives and volitional/speculatives are that assumptives signify a very high degree of certainty, which matches the fact that these verbs attach to the 終止形. ＊らし for most of its lifetime attaches to the 終止形, and the 連体形 for ラ変 verbs. However, for ラ変 verbs, the る is always dropped, leading to forms such as あらし、ならし、来(け)らし. There are also cases such as 煮(に)らし (連用形) that illustrate らし probably forms from an adjectivization of ある via しく, shortened in the same way that り is as an auxiliary verb. This formulation extends to adjective use, such as in the case of 寒からし. ＊While らし has a 連体形 it cannot be used for nominalization, nor can it be used to attribute nouns. らし’s 連体形, like its 已然形 can only be used in relation to bound particles. Another way to look at this is to think of らし as only having a 終止形 and not usually being effected by bound particles. However, there is a 「らしき」連体形 form that is occassionally used even alongside cases where らし is left alone as a 連体形 binding. No change is more common. Modern らしい takes らし and takes away its restrictions so that it works as an ordinary adjective. ＊めり attaches to the 終止形 except with ラ変 where like らし it in name attaches to the 連体形, but with the る either dropped or reduced. なんめり・なめり = なり+めり. ＊なり attached to the 終止形 of everything, including ラ変 verbs, originally, but by Heian times attached to the 連体形 of ラ変 verbs as well, with varying levels of る dropping, just like めり. ＊ごとし attaches to the 連体形 of verbs, with an optional が between them, but can also attach to nouns with a の between them. らし qualifies the previous statement as being true with a high level of certainty, due to there being a level of reasoning behind it. The reason is often stated either before or after the らし statement but does not have to be. The fact that らし is to a degree an adjectivication of ある, puts a らし qualified statement as being “a step away from being certainly true”. It carries more certainty than らむ and more than the modern from of らしい, which is probably why it fell out of use in favor of らむ and めり before it was revived in a less certain form. 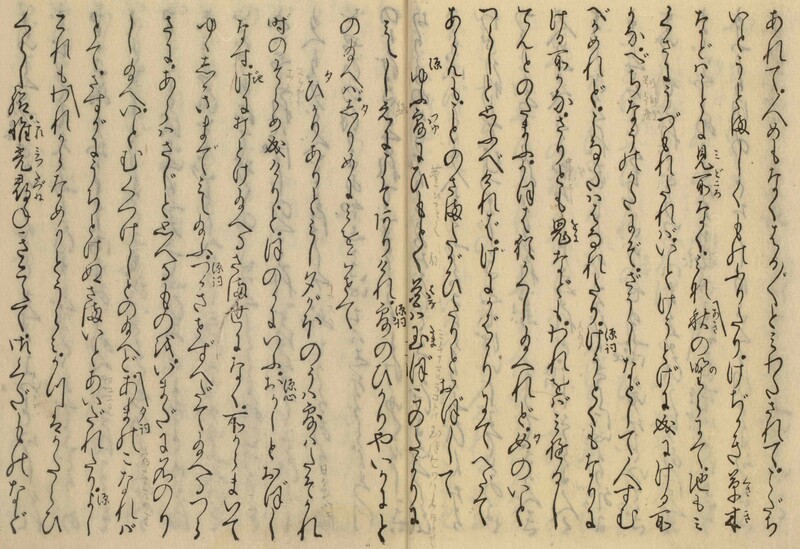 The 平家物語 is famous for its use of なり in contrast to its use of き. き was used for personal recollection and なり was used for relaying other past events. なりけり on the other hand, while still conveying hearsay, is most often the coupla + けり used in a “hearsay” like fashion (there’s a subtle difference). When in doubt of whether a なり following a 四段 verb is the “hearsay” なり or a copula, it is -most often- the “hearsay” なり. However, while すなり is always hearsay なり, するなり is always the “explanatory” copula. An non-contracted あるなり is also -more- likely to be the copula. めり qualifies the truth of a statement with “sight” (literally/figuratively), and is essentially the same as ～ように見える, ～と見える and is probably formed from 見+あり or 目+あり. It is not nearly as old as らし, and in its very first usage case it attached to the 連用形. But later attached in the same way as らし, even mimicing the nature of how らし attached to ラ変 verbs, resulting in words such as なめり・あめり, rather than あるめり. However, unlike らし, あんめり and なんめり are also used. Also unlike らし, it has no special restrictions on its conjugations. ごとし is used in modern Japanese as well, but not very often; it is essentially the same as ～ようだ. “~ is like ~” etc. ごとし is an adjectivication of the word こと. ごとく is used as a nominalization of ごとし. Apparently こと’s original meaning was closer to what ごとし’s meaning is now. まほし is used for declaring what you want to do before you do it (“I would like to …”), as well as describing the way you or someone else would like things to be (if describing a third person a む, is usually involved), and for when telling someone else that you would like them to do something for you. In other words it covers both modern ～たい and ～てほしい. As たし was gaining in popularity まほし was still used in more formal or artistic contexts for a while longer because apparently ～たし was considered vulgar/presumptious. I suppose grammatically まほし is a bit more roundabout “I desire for the state of this thing that may happen”. たし is essentially the same as modern たい, but its usage is a slight bit broader, encompassing ～てほしい, but mostly in a roundabout way by using ありたし. たし cannot be used with つ or ぬ. ～たがる does not exist until modern times, so expressing what you think others desire generally convey doubt in some other way. When the coupla なり, is preceded by a verb in the 連体形, it works the exact same way as the “explanatory の” that we are familiar with in modern Japanese. Their grammatical functions are one and the same actually; it is just that in modern Japanese the の is necessary to denote 連体形 where it could otherwise be confused with the 終止形 after the modern Japanese 連体形・終止形 merger. The なり is not, therefore always necessary in the same way that the explanatory の doesn’t necessarily need a だ to follow it. While if the preceding verb is a 四段 verb, which way one should interpret the なり is completely up in the air, it is far far more likely that the なり is the hearsay なり. This “explanatory” use is actually relatively uncommon. Also, while the hearsay なり is traditionally ありなり, it can be あるなり, あんなり, or あなり, where the contractions are the most common. ^In its glorious original phrase order. The explanatory なり is of course the latter, while the hearsay one is the former. These auxiliary verbs were used frequently in Nara and ancient times, but gradually faded out of use for all but a handful of verbs (mostly very important ones), which eventually became known and recorded as separate verbs altogether, which is why I’ve named this section “foundations”. (ら)ゆ had a 下二段 conjugation and was an early passive/potential/spontaneous auxiliary verb that was replaced by (ら)る. Like (ら)る, らゆ is used for 二段 verbs and ゆ for basically everything else. It appears that らゆ was used almost exclusively for (negative) potential, and only with 寝（ぬ）・寝（い）ぬ. It is important to note that unlike (ら)る, (ら)ゆ does not have an honorific usage. す had a 四段 conjugation and was a light honorific. At a real stretch, you might call it a precursor to (さ)す but す has none of the causative meaning of (さ)す, so it’s best not to mix them up. Furthermore, half of verbs using す undergo an sound change. す formed the foundation for these honorific verbs: 思はす／思ほす, 知ろす, 聞こす, 着す(けす), 見す(めす), 遊ばす. Of these, 遊ばす might be the only one that can be considered to have made it into modern times, where 遊ばせ is a feminine replacement for なさい. Most people that have been exposed to Japanese long enough have heard phrases like ご覧遊ばせ and ごめん遊ばせ. ふ had a 四段 conjugation and was used to denote repeated or continuous action. Let us begin the topic of particles by example. Here’s a light translation of that previous sentence. Yes, it’s a single sentence. Normally you’d translate this into something along the lines of 5-10 sentences, but I have opted for this structurally literal translation just to show how particles throw all these ideas together into a single statement. This sentence has almost every category of particle there is, except for the limited use “interjectory” category. far out < つ connects “deep” and “direction” which is required to accept the adverb なほ, here translated seperately as “far out” and “beyond”. live so far out in the…road < に connects the “so far…” where phrase with “(born and) live”. to be to [some] extent < [か] and [は] bind to けむ, changing いか into a “some” form again, but with a lot more stress to be more along the lines of “to a minimal extent” – which is of course a way to stress that she's not trying to be offensive. as to be [beyond] the end of the Azumaji road < より serves to place “the end of the Azumaji road” as a starting point, and ties with なお奥つかた (“even more deeply”) to mean “beyond”. during the day when I had nothing to do, [or] when I was awake at night, < など serves to define an “and/or” list of things out of one or more noun phrases. …[would like to] see… < ばや makes a desirative out of 見る. Hey you. (like Shinobu from *monogatari) < よ turns this noun phrase into an interjection used to call for someone's attention. Particles are stuffed into these categories depending on technical aspects of their usage, but these categories are not exactly divorced from one another. For instance while I will treat “Case Particle が” and “Conjunctive Particle が” as completely seperate particles, it is not as if they aren't actually one and the same. Strings of particles can be treated as new particles (ばや) and whether certain words are truly particles or not (ばかり) is arguable. However, let us continue with clarity in mind. Keep in mind that while some particles look and act almost exactly the same as their modern counterparts (は), many particles' meaning (see さへ), or usage (see か) have changed over time. But some modern particle usage that you might have thought as strange (髪[の]赤い人が、ここにはあるまい[に]) might make a bit more sense. Nisiosin's second favorite phrase あにはからんや may also puzzle you less. Also, while particles are usually written in kana, many of them either have specific kanji, or a list of phonetic kanji that were commonly used with that particular particle in early texts. I will make note of -some- of them. 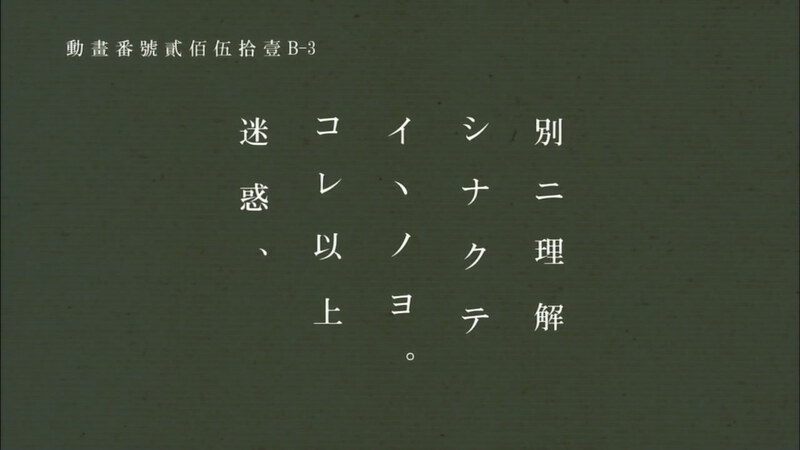 As a final note, early sources did not always employ particles, and might look more along the lines of: ほととぎす鳴く, 峰高し. Case particles establish the grammatical case of a word or phrase they are attached to, for the context of the broader phrase their attached phrase is located within. All case particles attach to a noun or nominalized phrase (体言・準体言) with the exceptions of と, which in one of its functions can attach to inflected phrases for quotation, and から, which may additionally attach to the particle て. Case particles come in one of two flavors: 連体修飾語 “Adnominal/Uninflected Phrase Modifying” and 連用修飾語 “Adverbial/Inflected Phrase Modifying”. In layman’s terms, does this particle interact with an inflected word or phrase (verb/adjective/verbal adjective/implied coupla), or does it only interact with uninflected words or phrases (nouns/nominalized phrases). 奥[つ]かた / 奥 (noun) interacts with かた (noun) and forms a noun phrase. 奥つかた[に]生ひいでたる / 奥つかた (noun phrase) interacts with 生ひいでたる (inflected verb) to form an inflected phrase. が may be used as a genitive case particle, denoting ownership, membership, likeness, or limitation (“what kind of X”). This is the oldest usage of が, and from this usage it has been extended to all of its other forms. When denoting ownership, pronouns such as われ and おのれ lose their れ, and become 我(わ)が and 己(おの)が. Note that nominalized verbs may be used as in the examples below. Note also that for ownership, the following phrase (implied to be もの) may be omitted in some cases. Among the Koreans who had come, there was a wise fortune teller. Are not Kanehisa’s (poems) terrible? The capital at Nara is now thriving like the fragrance of blossoming flowers. が may be used as a nominative case particle, denoting the subject of a phrase in respect to an inflected word, or an implied copula. Until a certain point in the Heian period if the が particle was used to denote a subject, the phrase would always end in the 連体形, rather than the 終止形, unless the phrase connected to another with a conjunctive particle. I believe this has to do with the inherent explanatory nature of が and is related to cases of where only が or only は is valid in regards to the subject of a verb. Note that nominalized verb phrases may be used. There is a slightly specialized usage of が as a subject that is followed by a さ-nominalized adjective to form what is called a 感動文 or “emotionally exclamatory sentence”. While technically the が in this case connects to a nominal, it acts as if there is a copula following it and thus is considered to be adverbial. Its usage is the link between genitive and nominative usages of the case particle が and is the earliest usage of が as a nominative/subject particle. In earlier periods (Heian and pre-Heian), if が was used as a subject, the phrase it was part of would never end in 終止形, but in the 連体形 unless the phrase ended in a conjunctive particle. On one hand, this technically preserves the interpretation of が being an adnominal particle, as any phrase that ends in the 連体形 can be treated as a nominal. On the other hand I think it illustrates a connection between the nature of 連体形 being explanatory and the usage of が as a subject being in its very nature explanatory (which is one way it is set apart from は and why one can not always substitute one for the other). The dog let the sparrow go. の may be used as a genitive case particle, denoting ownership, membership, location, time, naming, and limitation (“what kind of X”), which makes its usage slightly broader than that of が. This is the oldest usage of の, and from this usage it has been extended to all of its other forms. Note also that the following phrase may be omitted in some cases (implied to be もの), but unlike が this is not limited to ownership. This usage is the same as it is in modern Japanese. While が attaches to 連体形 nominalizations, の does not. However, as in modern Japanese の attaches to verbs in this way as a nominalizer, or to denote 連体形, there is probably some crossover, but if so, it is rare. の will however attach to other types of nominalizations such as 連用形 nominalization. の accepts the さ-form of adjectives (stems of く-adjectives and verbal adjectives, as well as the 終止形 of シク形容詞) without さ attached to them for an expressive statement: をかしの御髪や・あはれのことや, and may like が may precede adjectives in their さ forms. There is a slightly special type of genitive case particle の’s usage, sometimes called 同格 “equation”, that is similar to が’s usage when it takes a long phrase in the 連体形, and also similar to subject particle usage. It takes the form [phrase-連体形][noun]の[phrase-連体形][same noun or omitted][が/は]. When omitted, the noun before the の effectively becomes the subject which is accepted by が or は. Its usage in this case is very much like modern であって. There is an even further specialized form of the above usage, which is used to break from a lead-in in what is called 枕詞 “pillow talk”. It equates two phrases that are fundamentally different, unlike the above “equation” usage, but forces them together. Also unlike the above form, the noun phrase following the の usually ends the sentence. It takes the form [phrase-連体形][noun]の[phrase-連体形][different noun, tied to some emotion]. What kind of person owns this horse? That mountain is named mount Fuji. The grassflower is “nadeshiko”. Chinese ones are of course, but Japanese ones are also lovely. We shall stay on this ship as it goes along its course. The salt, that is burned (made) by the young seafaring women at Aminoura, is as my heart that burns just thinking of you. の may be used as a nominative case particle, denoting the subject of a 連体形 nominalized phrase in respect to a inflected verb. Unlike が, the phrase that takes the subject of a の particle must end in the 連体形. Therefore, like the early subject usage of が, the “flavor” is not strictly adverbial or adnominal. It may be technically adnominal, but it behaves as an adverbial, so it is categorized as such. Using a の as a subject particle as opposed to using が or nothing heightens the sort of poetic quality of the sentence, in part because it uses the “explanatory” 連体形 even if (as for 四段 verbs) nothing apparently changes. 鶯の鳴く vs 鶯鳴く. Spring having begun, perhaps it thought the snow for flowers, as upon those snow laden branches does the nightengale cry. It is said that whistles made out of sandals worn by women will always attract deer in the fall. の is used as a substitution for several particles, often only in special cases. In all of these cases の does not require the following verb to be in the 連体形, and therefore that is the easiest way to tell it is not being itself. の may be used in the same way だの is used today, as an adverbial particle. の may also be used as a final particle. Case particles つ and な are pre-Heian era case particles whose function was replaced by が and の. From the Heian period onward they appear primarily in proper nouns, such as 棚機つ女 (たなばたつめ) and compound nouns, like 目毛 (まつげ), 水底 (みなそこ), 水面 (みなも), 手な心 (たなごころ). Note that -e sounds that preceed つ and な usually become -a sounds. -a, -i, -u, -o are generally unchanged. For all intents and purposes the case particle usage of を has not changed much over time. を assigns the accusative case when linked to transitive verbs, assigns an oblique case (a point of either departure, passage, duration, or direction) to intransitive verbs that have something to do with motion or time. “Accusative” and “Oblique” are linquistic terms made for mostly Western languages where they apply more adequately. It is better to think of this case as a を-case, that focuses on a primary “point” of action (accusative) or a “point” along the way from a the perspective of a journey or goal, which may also be a direction (objective). Keep this in mind as we work to distinguish the non-subject-non-genitive case particles を, に, and と. This is roughly equivalent to …を…として, or …を…のように, and means “to treat A as B”. This is roughly equivalent to A(連体形)ことをするばかり and is used to emphasize a drawn out or repeated action. It is most commonly used in 寝(い)を寝(い)ぬ – “I slept all day”. However, this structure can be used with nouns, in some cases such as 音(ね)を泣く “I cried my heart out”. Again, this is an oblique case, that has to with purpose or direction. There is a very similar structure that uses に. This を usage is less common. If one were to make a distinction, に is piling actions on each other, and を is wading through multiple actions. And she served him, hoping that his unparallelled kindness for her would be for her alone. For the day, all day long he would only sleep the day away. に probably has the longest single entry of any Japanese dictionary you lay your hands on, because depending on the verb, it can be used for all sorts of things. に is a “weak” case particle compared to と in terms of volition and force, as can be illustrated by the difference between the phrases にする and とする, になる and となる, as well as にある and とある. に is derived from the auxiliary verb ぬ. “Dative”, “Locative” and “Oblique” are linquistic terms made for mostly Western languages where they apply more adequately. It is better to think of this case as a に-case, that focuses on a “natural” or “less forceful” secondary functional aspect of a verb. Keep this in mind as we work to distinguish the non-subject-non-genitive case particles を, に, and と. For verbs having to deal with motion, while を may designate a point at the beginning or along the way, に always designates the ultimate destination or ultimate direction. に may also designate location for intransitive verbs. For transitive verbs, primarily にて (case particle に + conjunctive particle て) is used instead. Note that this location may also be a state, rather than a particular place. For all causative and passive forms of verbs, as well as many other verbs that sensibly involve multiple persons, に can be used as a dative case particle, denoting “to whom”, “for whom”, “by whom”. For causative verbs をs accusative case particle usage may overlap に’s usage. Note that for both honorific causative and honorific passive verbs, this dative use in the end causes に to act as a subject particle. When に is used with あり, while it may designate locative case, it may also function as a copula, especially when used in the negative sense as “に(も)あらず”. This is a reflection of に’s “natural” usage. Strictly speaking, the modern である is derived from にてある, which is derived from this にある. The same can be said of ではない or でもない. に may designate purpose. When に follows a verb nominalized to its 連用形, に may mean “for the purpose of doing A”. に may designate a means, or in other words instrumental case. Much of this usage is replaced by にて. に may designate a reason, or in other words ablative case. Much of this usage is found with による. When に follows a verb nominalized to its 連用形, and is then followed again by the same verb, it emphasizes the verb, and implies that the verb is done for a drawn out period of time, or otherwise over and over again. に also has a stacking function where anything after is “in addition” to what comes before the に, this function can at times act adnominally. に has many helper verbs that can be used with it to remove ambiguity. In modern Japanese and late classical Japanese において and によって are often used for this purpose. This person is not one who would necessarily hire servants in this country I hear. This particle is the “natural/slightly more passive” counterpart of と and forms a part of verb なり (に+あり). へ, as a particle, derives from the word 辺(へ), which like the word that uses the same kanji, あたり, describes “the surrounding location” of something, just as 海辺 means “by the sea”. へ was first used as a particle in the Heian period, with a narrower definition that was used to describe a direction or place when in transit, as opposed to using に after arriving at a destination. へ was used more broadly post-Heian, where its usage overlapped with に in some cases, identical to へ in modern Japanese. An example of the difference between the narrow and broader uses of へ as a “direction” particle is that you would not use へ to describe who you are sending a letter to (ex. Bさんへ) in the Heian period, but it was used in that way in post-Heian times. The “strong” case particle と is like に (the “weak” case particle) in that it can be used in many ways, and that usage depends on what verb or phrase it is connected with. It differs from に in that its usage commands a higher degree of emphasis, and is usually associated with more volition, though this is not always clear cut. と can be taken to mean “and” when taken as a unit in a series, or “with” alone when it is connected to almost any verb, this hasn’t changed in modern Japanese. The “metaphorical connection” is an explanation for how the constructs と見ゆ, と聞こゆ, とする and とある work, and is similar in meaning to ～のように or “like” or “as”. と can be used in a sort of doubling phrase for emphasis, like に, where it is [A(連用形)+と+A]. Rather than denoting a repetition, this is simply used for emphasis. This is most commonly seen as ありとある and ありとあらゆる. What is it? Did you get upset at a child? Those that make excuses, even in the slightest degree, how could you suggest they be the same as me? (She had) stated that thee call upon all those in (her) house. This function of case particle と is to mark off a phrase to link it to a verb like 言ふ. It can be either a direct quotation or indirect quotation (ie. the words quoted can be exact or just convey the same meaning). Unlike many partcles that require a certain ending to attach to, this form of と can attach to just about anything. There is a となる which is considered “quotation” and a となる which is considered as a “result”. Both are pretty much the same thing, but this one does not have to attach to a noun. One should not strike (with the determination) to win, but strike (with the determination) to not lose. *ゆ, ゆり, and よ are older forms of より. The function of case particle より is basically to set a starting point to something (this pretty much covers all of the above). Most of this usage can be covered by the words “from”, “via”, “by” and “than” (for comparison). より sometimes combines with other words such as ほか, のち and うち. より is sometimes used in the same way as ～やいなや is used, for “as soon as”. Unable to enter from the gate, instead he made his visits viaa footpath made by children that led to an opening in the gate. ^This “by” usage is generally restricted to older texts, before using にて became the norm. In the mountain village in the evening where the cicadas cry, other than the wind, there is no one who visits. Attaches to //体言・準体言 (Nouns/Nominals)// of certain words. This case particle is an abbreviation of をして and its etymology is similar to にて. In modern Japanese its usage is swallowed up by で. The best way to describe this particle’s use is by example. 皆して、二人して、一人して in classical Japanese is equivalent to 皆で、二人で、一人で. Attaches to //体言・準体言 (Nouns/Nominals)// of certain temporal words. Where case particles link words (or nominal phrases) to other nominal phrases or a verb within a verb phrase, conjunctive particles link verb/inflected phrases to other verb/inflected phrases. The name gives it away, but basically, conjunctions. Conjunctive particles can come in a few of several flavors that mix and match. This function of conjunctive particle ば is synonymous with “if”. Modern Japanese uses ば to mean “if” however, it is important to note that unlike in modern Japanese, this ば attaches only to the 未然形. ならば is なり with the “if” ば attached to it. A good way to remember this is that 未然形 means “hasn’t happened yet”. This function of conjunctive particle ば is synonymous with “when”. Modern Japanese uses ば to mean “when” attached to what it calls 仮定形 which is really the 已然形. You just have to remember that this does not mean “if”. This particle is used primarily to imply causation (Resultative) but also may be used for simple context (Neutral). The general rule is that it implies causation unless it wouldn’t ordinarily make sense to. The “neutral” usage is most often found when attachecked to sensory/perception verbs like 見る and 聞く. When と／とも attaches to ず’s 連用形 it does -not- attach to ざり or に forms. This function is taken over by ても in modern Japanese. This function is taken over by けれども, けれど, and けど in modern Japanese. The function of conjunctive particle が is the same as its usage in modern Japanese, except for the fact that in modern Japanese conjunctive particle が attaches to the 終止形 (ie. そうだが). This conjunctive usage is extended from が’s case particle usage: 連体形 forms a 準体言, what the case particle attaches to, so there’s some overlap. If you want to think of this particle in terms of the case particle, 連体形 in front of が makes the phrase a “subject” to be compared to the predicate. But still be sure to distinguish between both depending on context. Also remember conjunctive particle が does not take nouns. They would have to be wrapped with なり/あり – it’s common to see “ありしが” because since this is a definite conjunction, and the “past” is definite. As with modern Japanese, conjunctive particle が doesn’t necessary mean “but”, or imply anything between the two phrases. Sometimes it’s just a simple connection. Depends on context. This function of conjunctive particle に is identical to modern Japanese のに (それなのに). If you break apart “のに” the の is simply modern Japanese’s version of 連体形 for verbs, so it really is the same. This function of conjunctive particle に is used in modern Japanese (without the preceding の), just rarely (“見るに”). It is very similar to the conjunctive particle ば that attaches to the 已然形, but unlike ば it’s contextual usage cannot be used to imply causation. Because of this, this usage is generally limited to words like 見る and 聞く. This function of conjunctive particle に is similar to the construction of “ために” (そのために) in modern Japanese. This function is again similar to ば, but the nuance is that the preceding phrase must provide a reason for the succeeding phrase, rather than simply context. Like が, に conjunctive functions are derived from its functions as a case particle. “(Failed) objective/target” applies to the first, “time” and “place” apply to the second, “reason” applies to the third, and “addition” applies to the fourth. This is why conjunctive particle に is nearly as varied as its cousin. This function of conjunctive particle を is similar to のに (それなのに) in modern Japanese, and is very similar to conjunctive particle に, but it’s emphasis on causation is weaker than its emphasis on the preceding phrase itself. This function of conjunctive particle を is similar to ので (そうなので) in modern Japanese, and is also similar to conjunctive particle に’s “Because” usage, but without any constraints on it being a “reason”, and its emphasis on causation is weaker than its emphasis on the preceding phrase itself. The conjunctive particle を didn’t last very long, because – obviously – it’s confusing. It can mean either despite or because and it is not used for neutral cases. The reason for this confusion is that the main purpose of conjunctive particle を is to add a whole lot of emphasis to the previous phrase and say that it has a connection to the predicate. This is mostly due to the fact that conjuntive particle を is derived from を’s usage as an “exclamatory” final particle, and also due to を as a case particle denoting one of the most important parameters to a verb – that emphasis carries over. The conjunctive particle て can be used for very many things, but at heart, it’s just a simple conjunction linking two phrases together. It can be Resultative, Contradictive, or Neutral. It is most often Transitional, but it may also denote Parallel action, or be used to establish context. Although it is usually Definite, when combined with は in “ては” it can be used to form a conditional (Hypothetical) phrase. “ては” also used to denote repetition “whenever A happens, B happens” usually denoting a back and forth time action like the moon waxing and waning. “ずて” abbreviated as “で” and equivalent to “ないで” in modern Japanese. て is also used to compound verbs together, especially with ラ変 verbs that act similar to auxilliary verbs. “して” comes from the verb す and て and is used as a particle, similar to て, but only attaches to the 連用形 of verbs, adjectives and the auxiliary verb ず. “て” also attaches directly to a number of adverbs (かく、など、さ), and attaches to the case particle に to form case particle にて. “して” doubles as a case particle meaning “with” that overlaps with the functions of modern で. It is technically an abbreviation of をして. (Ex: 皆して手伝ふ, 二人して). Other conjuctive て particle combinations include てから and からして. て itself is derived from the 連用形 of the auxiliary verb つ, and became a particle as its usage expanded (and it attached to many more things). An extremely large number of grammatical functions in both classical and modern Japanese are derived from つ and て, but I’ll go ahead and stop here. The conjunctive particle つつ denotes an action happening repeatedly over and over again, back and forth, in the background of the succeeding phrase. It is often used to portray parallel action, but the preceding phrase may denote something that has been going on for a long period of time, and the succeeding phrase may denote a shorter action, making it more a matter of context than parallel action, but fundamentally the usage is one and the same. つつ was most likely derived from the construction ～つ～つ. This function of the conjunctive particle ながら is identical to its use in modern Japanese, and is similar to つつ. As usage of つつ faded out, ながら replaced it. As a general rule, the preceding phrase is of less importance to the rest of the sentence than the succeeding phrase. This function of the conjunctive particle ながら is identical to its use in modern Japanese. It is similar to the “but” function of が. This one requires an introduction. もの is a noun. However, its use as a noun is utilized (abused) so as to make conjunctive particles out of case particles and final particles, and the sort of pseudo-particle/word (adverb/noun) ゆえ. ものを is taken directly from final particle を (which requires a nominal, so もの is used to nominalize it). This later evolved into the conjunctive particle を, but in earlier times ものを was used only for “Contradictory” not “Resultative” conjunctions. However, after a certain point ものを too was used for both. As a side note, using を with もの as a final particle is where we get ですもの and ですもん in modern Japanese. ものから is taken directly from case particle から, taken to mean “though starting from this point, the result is unexpected” – which translates into “although”. As time passed, however, it was mistaken for a simple transition (I don’t blame them) taken to mean, “from this point, this happened”, without the “Contradictory” nuance. ものの is still used in modern Japanese, and I assume it is derived from case particle の’s subject use, taken to mean “though this is the case, something unexpected happened” – which translates into “although”. ものゆえ is used to link ゆえ (which means circumstances, reason) to a verb, which is taken to mean “though these were the circumstances that were in place before, this something that was unexpected happened” – which translates into “although”. This can be confusing because 故に means “because” – or more literally “due to these circumstances”. Bound particles are similar to case particles, which connect a nominal to a verb, but instead modifies a nominals “position” in regards to the rest of the sentence, possibly spanning multiple verb phrases. Bound particles are called “bound particles” because they “bind” to the final verb in their scope and change its fundamental case (meaning one of 未然形、連用形、終止形、連体形、已然形、命令形). Bound particles can appear within a sentence or at the end of a sentence, the latter often denoting an “implied predicate”. The behavior of bound particles are often different depending on whether they are within a sentence or after a sentence, and it is important to note the difference. In some particles, like は, the “binding” doesn’t make a difference (because its binding is 終止形), and in others “binding” gradually fell out of use closer to the modern era. *は officially binds to the 終止形 but this is not “strict” (ie. if there is any other bound particle in the sentence that would change the ending to something else, that is used instead). This also applies if the verb is put into 連体形 in order to make the sentence “declarative”. When は is attached directly to a noun or nominal its function is very similar to が, and because は cannot attach to が, it can be said to be “replacing” が, and there are many cases where は and が are interchangable. It basically lifts the preceding phrase X to mean “in cases involving X”, “as for X”, “in regards to X” (in otherwords making a distinction between X and other related phrases one might assume) – but X doesn’t necessarily have to be the subject of the succeeding verb. A verb phrase can have only one が used to denote subject case, but can have multiple はs (in order to contrast separate cases). が and は can be used in the same verb phrase and when this happens, the phrase before が is contrasted against the phrase before は. は is generally appended to “old or known information” and が is appended to “new or unknown information”. Unlike が, は can be attached to time words like 今. When は attaches to case particles it basically acts to emphasize the preceding phrase. In classical Japanese, unlike modern Japanese, は does not replace を but attaches to it and often under goes a sound change, becoming をば. When は attaches to conjunctive particles it often has a dual function of meaning “whenever/in all cases of” it does not -always- carry this role (only when て is used in a time-sensitive conjunctive manner), but it’s something to keep a look out for. Ex: 転んでは起き上がる. は can attach to the 連用形 as long as the 連用形 is used to nominalize the verb. This is commonly used in the construction V(連用形)+は+す. Ex. 行きはせず this emphasizes the verb as a nominalized action. This function is nearly identical to the modern Japanese final particle わ (notice it’s pronounced the same). It does NOT carry a feminine connotation (note that many dialects in modern Japanese also do not carry the feminine connotation). This function is similar to the conjunctive particle ば when attached to the 未然形 (you may argue that it is also similar to conjunctive particle と). It is attached the same way と・とも is attached to adjectives and ず, but it is -not- similar to とも because it does not imply “Even if” but just “if”. Before the ざり form of ず came around (for ざらば), the only way to make a ば-like negative hypothetical was ずは or なくは. ずは was eventually sound-changed to ずば (ie. almost identical to mizenkei ば) but remember, ず has no mizenkei. In the Nara period, ずは was not hypothetical but more to the effect of AずはB = “do B instead of A”. When は attaches to ず’s 連用形 it does -not- attach to ざり or に forms. If は sets things apart from each other, も brings things together. This works for subjects (where も takes the place of は or が), or objects/other cases (where も comes after the corresponding 格助詞 (も can replace を or come after it)). for adjectives and verbs, も can come either after the nominalization of the verb／adjective phrase, or after the conjunctive particle て (==「つ」’s 連用形). This ～ても basically means, “even given the case of ～”; nominalization denotes more basic inclusion. All of these usages basically mean the same thing, though when も comes after a 接続助詞 (conjunctive particle) the conbination of the usages of both particles is closest to “even/although”. Almost the same as the above, but the purpose is different. This basically forms a list which shares some quality. It can either be a list of subjects/objects that link to a verb which comes after, or も can appear in the same place in two parallel verb phrases. Ex: AもBもV / AもV, BもV. If you’ve ever heard the phrase “よくもそんな！” You’ve experienced this usage. It is simply emphasis. This usage is identical to the modern なぁ～, and didn’t last much longer after the Nara period. When ぞ appears at the end of the sentence but after 「と」 it is implied that 言う, 聞く, or あり would come next, and doesn’t count as a “final” form. そ is a Nara period version of ぞ. However, if this そ comes after the 連用形 (or the 未然形 of カ変 or サ変) it is not the same sort of particle as ぞ!! It is part of the な…そ construction, and the な is sometimes left out! なむ has the same basic function as ぞ, but it is a weaker emphasis. When なむ appears at the end of the sentence but after 「と」 it is implied that 言う, 聞く, or あり would come next, and doesn’t count as a “final” form. – Otherwise, it is a completely separate final particle, which will be covered in a later section. Watch for context to make sure you interpret なむ correctly as either a bound particle, a final particle, or the combination of the auxiliary verbs ぬ and む. The function of や is very similar to the modern か, however, it focuses more on real questions than exclamatory rhetorical questions (common to か). や is usually used alone, without any question words, but などや (何どや) and なぞや (何ぞや) which are basically equivalent to “なぜか”/”なぜ…か” were frequently in the medieval period onward. Though the function of や is similar to modern か, its usage is different. For instance とや言ふ is equivalent to modern と言うか, and をんなやある is equivalent to modern 女はあるのか？. Basically, a way to “convert” is to replace や with は and add か to the end of the corresponding verb. Also, try not to mix bound particle や up with the modern や and とか type informal lists (even though they derive from these particles). The final particle や works just as you’d expect (similar to modern か), however, remember that it comes after the 終止形, and not the 連体形. Eariler texts are more likely to have や in-sentence, and later texts are more likely to have it in a final position. If は comes after や it is more likely to be a rhetorical question. There is another formal “exclamatory particle” や, which is more broad in what it can attach to. It has an exclamatory function (obviously) and will be covered later. The function of か is very similar to the function of や, however, it is much more likely to be an exclamatory rhetorical question and is more often used with a “question word”, such as 何, 何故, なぜ, いづれ, いくつ. If you don’t what I mean by exclamatory rhetorical question: here is an example: 知るか！. One peculiarity to look out for is that the concept of question word+か meaning “some-” ie: 何か=”something” was less prevalent the further you go back, so that question-word+か+…+Verb is more often equivalent to modern “question-word+…+Verb+か”. The final particle か works just as you’d expect (almost identical to modern か). If は comes after か it is more likely to be a rhetorical question. When か is used at the end of a sentence for a purely exclamatory function it is sometimes classified as a separate particle, but it’s basically the same thing. This grammatical structure survives in modern Japanese with こそあれ、こそすれ and often with the “binding” dropped. It’s emphasis is much stronger than なむ or ぞ and thus has a completely different binding. こそあれ、こそすれ constructions are basically the same as ～はあっても、～をしても with a lot more emphasis. You can argue that constructions such as どうもあれ are こそ constructions with the こそ removed, but considering どうせ you may also make the argument that it’s only a “similar” construction that uses the 命令形 rather than 已然形 (because of “せ” rather than すれ). When こそ comes at the end of a sentence it has an implied predicate, which could be anything depending on context. In the Nara period, こそ sometimes attached to the 連用形 of verbs. As time went on, some bound particles lost their bindings (or they became optional), and some bindings lost their particles. The reason in modern Japanese we can end questions with の (the equivalent of 連体形), is because of an implied か – i.e. the binding without the particle. Declarative の is the same thing with なむ/ぞ. Constructions like どうあれ can be considered the same thing with こぞ and 已然形, but these cases are more limited than the above. All adverbial particles usually follow nominals (including 連体形) or other particles, but can be attached to things like adverbs and other words on occasion. Adverbial particles are used to denote amount, extent or emphasis like “only, even, just, in addition”. Adverbial particle だに is used to denote a minimal case when one needs or desires much more. What follows is usually either a request, demand, or desirative. 水をだに喉へも入れ給はず = “…and he could not even drink water (he was so ill)”. and eventually it’s meaning bled together with すら, replacing it in some writings until だに almost completely fell out of use past the medieval period. (すら remains used in modern Japanese). Adverbial particle すら is used to denote a general minimal case, equivalent to “even X, not to mention Y”, “if X, then all the more Y”. すら can have a similar meaning to だに, but it is not automatically inherent. It was more common in ancient Japanese, was replaced by だに, and then resurfaced in the Edo period onward. In modern Japanese, it often appears as ですら. Adverbial particle さへ actually came out of the word 添ふ（そふ）, which means to add, or attach to. Therefore it means “in addition to” attaching importance to the additional case. Adverbial particle のみ means for all intents and purposes, “only”, but it doesn’t share all the functionality of the modern だけ (which takes many functions from ばかり). In some cases it can be used as not a strict “only” but “nothing does so more than this”. Adverbial particle ばかり comes from 計り and is often written as 許り. When used with numbers, amounts, or times it means “about, approximately”. When following the 終止形, it means the same as ほど “to the extent that”. When the word ほど became more in use in the Kamakura period the “to the extent that” function was less used. In the Edo period, the “only” function was replaced by だけ, and so in modern Japanese only the first and “intense repetition” meanings remain. Adverbial particle など means “things such as”, and is often written as 等 which is a character means (the same as, equivalent to). You also see this symbol in ～ら endings, such as ぼくら=僕等. Its meaning is the same as in modern japanese, meaning “to the extent that” and “up until, as far as” etc. Adverbial particle し (further emphasized with も as しも) is used for emphasis on a particular “item”. It is often used with 今 and 今日, and can have a similar meaning to “only”/”only then” depending on where the emphasis is placed. You may be familiar with 必ずしも as “(not) necessarily”. This works because しも calls particular emphasis to 必ず meaning “definitely, without a doubt”. and saying, it is not to that “certain” extent when it is followed (as it always is) by a negative. Final particle しが comes after the 連用形 of verbs, and of the つ and ぬ auxiliary verbs. (In fact, it is almost exclusively after the つ and ぬ auxiliary verbs Heian period onward.) しか、しかな、しかも are Nara-period forms. しか itself is derived from the recollective き／し in 連体形 and the final particle か. There is also a theory that it derives straight from きs 已然形, but it wouldn’t make sense to use an 已然形 ending connected with desire in my opinion. The way I make sense of it is that it seems to work very much like like the modern construction ～たらと思う. Final particle しが is used to convey a first-person “if only” desiderative. な is added for emphasis, も is less common (older), and is also added for emphasis. Final particle もが comes after nominals and the 連用形 of adjectives (it also attaches to the 連用形 of なり adjectives and other things occasionally). The easiest way to think of it is as a version of しが for nomainals/adjectives. Final particle もが is used to convey a first-person “if only” desiderative (it carries an implied あり with it to form a “if only it was this way” sort of thing). な is added for emphasis, も is less common (older), and is also added for emphasis. Like しが came from しか, もが came from もか, which itself is derived from a combination of the も and か bound particles. Prohibitory final particle な comes after the 終止形 of verbs and auxiliary verbs. It’s a negative imperative and works the same way as it does in modern Japanese. Final particle か comes after nominals and the 連体形 of verbs (and adjectives and all other inflected forms) and is used for an expression of emotional movement, whether it be exclamatory or just “I’m ‘moved’ by this” sort of thing. かも was used primarily in the Nara period, where it was replaced by かな. Final particle かし is an all-purpose super emphasizer, and attaches to the end of phrases or sentences. It is derived of final particle か and adverbial particle し. The phrase “さぞかし” is a common example of usage. It often attaches to already exclamatory emphasized conjugations, like after ぞ or an imperative/negative-imperative command (命令形). Later usage often pairs this particle with the 命令形 (ex. かくあれかし), though early usage more often pairs it with the 連体形. Final particle なむ is a requesting desiderative that asks that someone else do something, and comes after the 未然形 of verbs and adjectives. Final particle なむ is derived from なも which is its Nara form. なん is just a sound change from なむ. Final particle ばや is a personal desiderative that comes after the 未然形 of verbs. Personal desiderative final particle な is a personal desiderative that comes after the 未然形 of verbs. Final particles ね and に are requesting desideratives that come after the 未然形 of verbs. Final particle こそ is a requesting desiderative that comes after the 連用形 of verbs. Remember, 連用形. Not 未然形 or 已然形. Exclamatory final particle な comes after the 終止形, 命令形, and case particle と. It is used for exclamation and similary to modern ね/な in seeking affirmation. See な…そ in the Nara Syntax/Foundations section. All of these are extremely similar and all come after nominals, 連体形, and 命令形. Rhythm: や (Think of this as adding beats to poems to fill syllables). It is meaningful to note that い is also used as a short form of exclamatory よ and や, seen だよ=だい, なよ=ない (with Prohibition な), and かや=かい, but that is not a separate particle, only a sound change. None of these are considered particles, but they are very much like them, and two deal with them, and all of these grammatical rules are important when you’re reading pre-Heian works, and all of them have contributed to more recent words and grammar. らく attaches to the 未然形 of 一段 verbs and the 終止形 of 二段, カ変, and サ変 verbs. To make things simple, with the small exception of き+く = しく, “く”, and adj+く = “けく” will always come after an “a” sound. I have heard the theory that there was a noun like 事 that was read あく, and that all this is is a great sound-change. While that sounds great and I want to agree with it, I haven’t seen any real evidence for any word あく. However, the fact that everything in 連体形+あく (even the adj structure) sound-changes pretty well into what it is now means I’ll keep searching. For now I’ll just consider (ら)く’s -a stem behavior something similar to (ら)る and (さ)す and (ら)ゆ. (All of which attach to the 未然形 and don’t have anything really to do with the “hasn’t happened yet” notion). An especially common case is なくに and なくも formed by the negative auxiliary ず in its vestigial 未然形 な+く It was so common in fact that it was gradually mistaken for an adjective and then reverse engineered as the awesome grammatical adjective 無い. み is a special suffix that attaches directly to the stem of an adjective and it carries the meaning “because”. If there was a subject before the adjective, an interjectory を is put instead of a が or は. It is very common in the 万葉集, but hardly anywhere else. Possibly a precursor to the prohibitive final particle な, this negative adverb な (presumably derived from the 未然形 of ず) is not a particle. When な is used in a sentence the verb it links to is put in the 連用形 (or 未然形 for カ変 and サ変 verbs) and it forms the same meaning as if the Prohibition final particle な were used. However it is often paired with the final particle そ which attaches to the verb and is used to soften the command and make it more like a request. While the な…そ construction lasted into the medieval era, そ was often used without な.